A heavily fertilised, yet light and well aerated, soil mix. 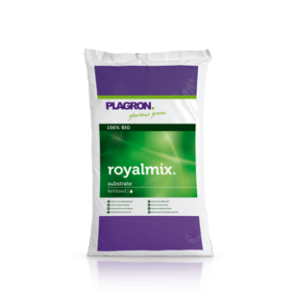 Royalty Mix contains enough nutrition for the entire growth cycle. Transplant into Royalty Mix after 2-3 weeks and only add water when feeding. A blend of the finest peats, organic fertilisers, worm castings and perlite. Not suitable for seeds or cuttings. Available as a 50L bag.